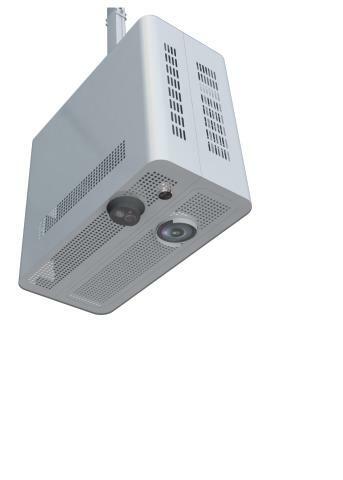 MotionLearn™ Interactive Projection Systems offer a creative, immersive dynamic in today’s education technology – transforming any wall or floor space into a large interactive activity. Children of all ages are able to develop their cognitive motor skills and social behaviors through the customized games & effects that have been designed specifically for this purpose. Learning and therapy have never been so much fun. This all-in-one solution incorporates specific applications geared towards children with developmental delays. This innovative product is fully adaptable for all children at any developmental stage. Teachers, clinics, and therapists can design group or individual programs around the child’s specific needs with any of our customizable interactive applications. The system comes with everything needed to transform any floor or wall into a giant interactive activity. Aids in language development, emotional adjustment, social communication, body awareness, coordination and daily living skills. Use your body or other objects to affect the images on the floor or wall. This offers projection that responds to body movement when it is detected by our state-of-the-art motion sensor. Ready out of the box. Mounting hardware included. 70+ different applications available; 25 of your choice included. Installation instructions included. On-site installation available, please call for quote. Projection Dimensions: 9' x 12' (from 9' ceiling) Weight: 38 lb. (approx.) Lead Time - Up to 15 Business Days Note: There is a 10% restocking fee for any returns at any time after purchase. MotionLearn Extendable Mounting Pole- Size: 19.7" - 39.4"
MotionLearn Extendable Mounting Pole- Size: 39.4" - 78.7"